So it's that time again, and musicans and singers (maybe in a loose sense of the word) from the far flung corners of Europe, and beyond gather for the Eurovision Song Contest. This year the high campery and outrageous costumes are in Oslo. I caught the end of the first semi finals for the contest, and as I'd not seen all the acts can't comment on the songs, however the three girls whose dresses suddenly grew butterfly wings freaked me out. 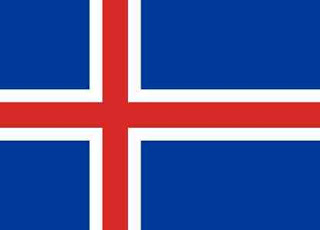 I did like the Icelandic entry, and chuckled wondering if she'd get home if the volcanisc ash cloud drifted over Norway. One thing that struck me as a positive image was the audience and the acts, who were all proud to wave their country's flag. It was nice to see Estonian flags held aloft alongside Greek and Belgian in a sea of unity. But the same sadly cannot be said for the World Cup. 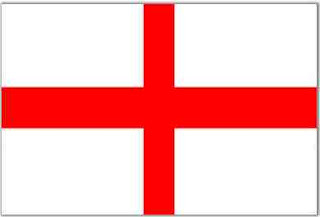 We've already had reports of people complaining that the English flag is offensive. The police are actively asking people not to fly their country's flag for fear of upsetting immigrants to the country. I find the idea of flag flying being offensive as political tosh. This is surely a new phenomenon possibly dreamed up by some politically correct, cardigan wearing, tree hugger from Salisbury. I'm sure if I walked down the streets of Paris and saw the French flag I'd not be offended by it, The same would go for flags from Pakistan, Romania, Canada and any other country. If I chose to move in another country I'd accept their flag as part of my new home, not an object designed to remind me of my previous home. I am moving to live in Italy, and when I do I shall not be popping over to my neighbours house to ask them at fiesta time to remove their green, white and red flag because it offends me, in fact I'll fly my own Italian flag and join in the spirit of things.